It is difficult to be certain whether social media has exacerbated the appetite for change or merely given it a voice. What is clear is that there is rampant excitement as Maurizio Sarri is confirmed as Antonio Conte's replacement as Chelsea manager. Avatars and Twitter handles have already been altered in his honour. The story of Arezzo's 2006/07 season when they sacked Antonio Conte for Maurizio Sarri only to rehire Conte soon after. Jose Mourinho's comments after the FA Cup final could easily be dismissed as the musings of a man who would say just about anything to deflect attention away from his own team's inadequacies. Even so, his words after watching Chelsea stifle Manchester United on the way to a 1-0 win at Wembley will still have struck a chord with those who once adored him. "I am quite curious to know what you say or what people write," said Mourinho. "Because if my team plays like Chelsea did, I can imagine what people would say." It was the sort of half-truth that most managers dabble in and the Portuguese has turned into an art form but these are the barbs that often sting the most. Chelsea were anything but thrilling. It would be rather trickier for Mourinho to direct such criticism at his former club now Sarri has taken over at Stamford Bridge. In European football, only his old foe Pep Guardiola is quite so lauded for his style of play. 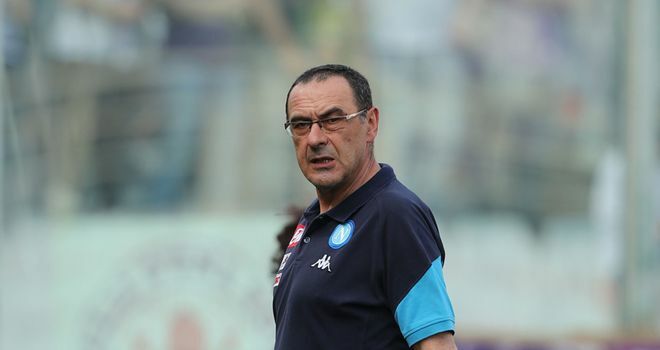 It is no coincidence that the Manchester City head coach has been effusive in his praise of the football played by Sarri's former Napoli side. "I like to watch football and I like to watch Napoli when I am sat in my home. I love many, many things about a Sarri team." "I am a manager, a professional but a spectator as well," Guardiola said ahead of City's Champions League game against Napoli in the autumn. "I like to watch football and I like to watch Napoli when I am sat in my home. I love many, many things about a Sarri team. For me, they are one of the three best teams right now in Europe at playing football." And yet, it is ironic that Guardiola is such an admirer given that Sarri is seen by some as the antidote to Pep's particular poison. "Every 20 years there is an innovation in football," Fabio Capello said recently. "After Ajax there was Arrigo Sacchi's Milan, then Pep Guardiola, who rather sent football to sleep. Fortunately now we have got Sarri to wake football up again." It is the comparison with Sacchi, who incidentally has described Sarri as "a genius" and, like him, also did not play the game professionally, that many feel is the most appropriate. Napoli's extraordinarily high defensive line is reminiscent of that great Milan team. "Napoli play 40 metres in front," marvelled Guardiola. "A bit like Sacchi did once." This is front-foot football, not only played with pace and purpose but also with a relentless commitment to passing out from the back. Napoli had the most possession in Serie A and the best passing accuracy. They had the most shots and made the fewest tackles. As club president Aurelio De Laurentiis put it, Sarri was "the author and sculptor" of this beauty. His critics will point out that while Simeone added yet another trophy to his collection with the Europa League victory over Marseille, Sarri fell short this season and remains without any major silverware in his coaching career. It is a valid point and Conte is also entitled to wonder why he, a "serial winner" in his own words, could possibly be seen as the problem. This past season, Chelsea had the minority share of possession against Manchester City, Tottenham and Liverpool, not just away from home but in front of their own fans too. They were too meek and supporters want to see more than that, particularly in light of Guardiola's achievements with Manchester City. A more optimistic vision is needed. Against that backdrop, it is Sarri, with his long list of big-name advocates and the viral videos showcasing his side's unique style of play, who offers the alternative. He is the man who offers the prospect of another way. Sarri will change Chelsea. And, particularly in this social media age, that is more than enough reason to be excited. Manchester United captain Ashley Young apologised to the club's supporters after their 4-0 Premier League defeat away at Everton.